Originally from North Carolina, Randy Henderson has been a resident of Fort Myers since 1980, when he married Virginia Corbin (daughter of former Fort Myers Mayor Oscar Corbin), whom he had met in college. He began his career in banking before becoming president of Corbin Henderson Company — an investment real estate firm — six years later, a position he still holds. His career in politics began in 2000 when he was sworn in as City Councilman, Ward 5. Previously, he served on the City of Fort Myers Conference and Convention Council, as well as volunteered with many other civic groups including president of the Fort Myers Chamber of Commerce. He was elected Mayor of Fort Myers in 2009, and re-elected in 2013. Upon meeting, he’s a man who reflects the qualities of grace, humility, style, respect, passion and love of his community. Each issue, “Take Five” poses five questions to a community leader or personality that have not previously been shared. 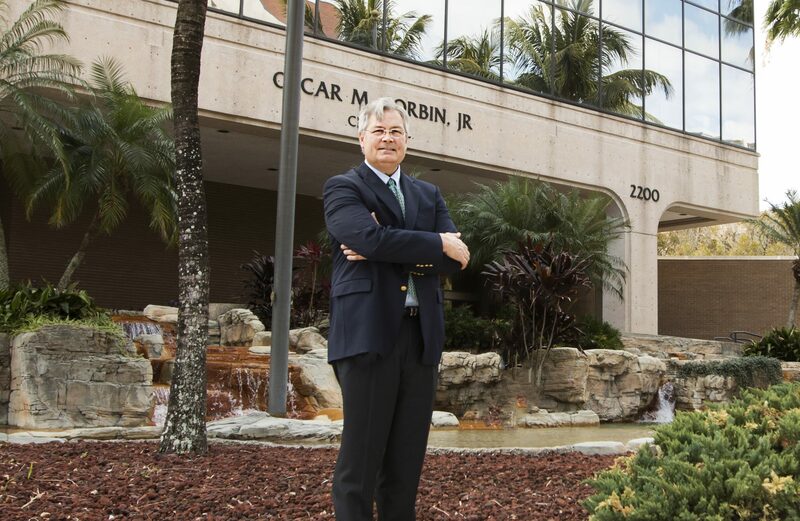 Here, Mayor Henderson addresses the vital Southwest Florida issues of water quality, economic development, quality of life and his own plans for the future. 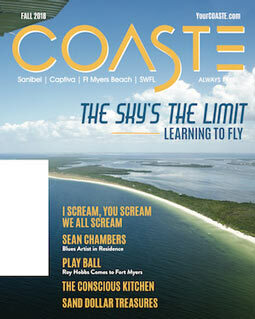 View this story with images online now with our digital COASTE magazine! An obvious question, but a timely one: just how vital is the issue of water quality here in Southwest Florida? The events of this past January, where we received more than 12 inches of rain, created a situation of water releases from Lake Okeechobee and other runoff that hasn’t been experienced in decades. It demonstrated how vulnerable and ill prepared we are for this. The human reaction to the brown, ugly water was all negative, tourists and residents alike. Poor water quality is a threat to our economy and a threat to our quality of life, simple as that. How satisfying was it to see a coalition of our region’s mayors take a stance and take our story to Washington, D.C.? It was definitely one of the most gratifying experiences I’ve had in 16 years of public service. This random act kind of stimulated all of us to form a sort of permanent resolve to find a solution, so that our quality of life and economic development won’t be adversely affected in the future. You’ve been mayor during what many would call the renaissance of downtown Fort Myers. How much pride do you take in that? I’ve been involved in economic development for many years, but this is way bigger than just me, it’s been a process that’s included other well-intended, smart and hard working elected colleagues. It’s a consensus of moving the city forward in a positive way. I have been part of this, certainly by choice, and it’s been very gratifying to me to participate in it. It hasn’t been my ideas per se, but all of us reaching out to professionals in urban design and planning, asking: how can we make our city better? I’ve been very fortunate to be a part of the history of the city at this time. 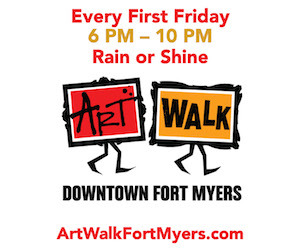 And there are more big things coming to downtown Fort Myers? I would estimate there’s probably about $425 million in permitting in place right now for private sector investing. Developers are responding to baby boomers and young professionals alike who are wanting downtown residences and a walkable urban environment. That’s on the horizon, and it’s fair to say that we’re closing in on having a new hotel in the downtown area too. There are also plans that are not in permitting yet, but look to expand the footprint of the downtown area in exciting ways. And how about your future? Today I’m here to tell you, I’m very excited for 2017, I plan to run again for the Mayor’s post. I feel confident in this work, I enjoy it, and it’s a very positive and exciting time to be involved with the city. I like that, it makes me want to perform and work hard and make things even better. So yes, I hope to keep on doing this work and doing the best I can. TAKE FIVE: The wonderful Willard Scott. PERSONALITIES: 2014 Resolutions for Lee County Tourism. PERSONALITIES: Proving It’s Better to Give.